Stop Press! America’s educational system – public schools – are failing millions of children who need to be rescued from an inferior education. (Yes, this is how the story opens). 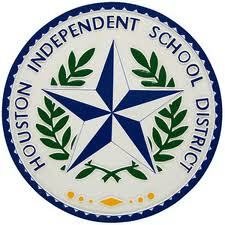 Interesting article recently featured in the Chronicle – “Reinventing Education in Houston”. Take directly from the story – “The Houston Independent School District has heard the alarm, and there are those who believe Houston is now well-positionedto become ground zero for this country’s education reform movement – to be the district that reinvents public education so that it works for all students. Here’s more excerpts from the story – “HISD has not been waiting passively for someone to provide an answer; it has the will, the leadership and the support to transform the district into a model for thre rest of the nation. Umm…. where are the excerpts about the parents responsibility? Hmm…. I had some good teachers in my life, but I have to give the majority of my learning ability and desire to my parents. I still recall my dad making me write out sentences with the new words I was learning in my spelling class every week and giving it to him every Friday as part of his homework. I recall my dad making me read books every summer when summer reading was not even required. I believe parents hold the keys to effective education, but that is just my opinion.